Few years ago, Google unveils Android Auto. Only available for car manufacturers, this software is design to be integrated in car entertainment displays. Now it’s available in many cars (VAG, PSA, Ford, Mazda....) but only limited to new cars. I have an old Peugeot 406 (+320 000 km) which runs perfectly. Without a GPS it is not possible for me to leave my house, so I needed something great with a good integration. The original radio in the car is a 20 years old device, no CD (don’t talk about SD card or MP3….) only a FM/AM receiver and a casset reader. 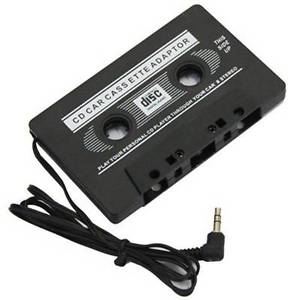 With this simple device, you can plug your phone and enjoy your music or make phone calls. I had this solution for months, but we can make it better. For €79 I bought an Archos 70 xeon tablet. This device has a built in GPS, FM radio, 3G modem and micro SD slot. Maybe the perfect device that suits for a car integration. With a set of screwdrivers I disassemble all central head unit. The original radio K7 reader was removed, and also the LCD display. I kept heater command panel, I moved it to the bottom. This tablet was fixed with 2 pieces of scratch which make it removable. By removing the original radio, I also removed the built in audio amplifier. It’s easy to find another amplifier on Amazon. 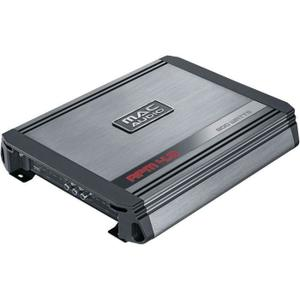 I chose a 300w amplifier for audio quality. Maybe a good choice. 4 speakers (2 wires each), one ground, a permanent 12v and command wire (12v when you power on the car). Plug a jack - RCA cable and test it. a simple 12v USB converter does the job perfectly. Be careful to buy (at least) a 2A, most of them delivers 0.5A that is to low for a tablet (and also for a smartphone). Previously you found a 12v wire (after contact), just plug the converter to it. Many apps does the job with openstreetmap in. Downloading all France and europe maps need a big SD card. Audio volume, only volume buttons from the tablet available. Was not good to operate, volume is set by gaps so you lose precision. Music still playing while the car was turned off. I needed to pause my music manually. Sleep and wake does not depends on charging or not. I solved this problem in the developer settings “keep screen on while charging”. GPS is not so powerful as Google Maps is. Now the Archos is replaced with a Lenovo tab A7. This tablet runs for 1 year. 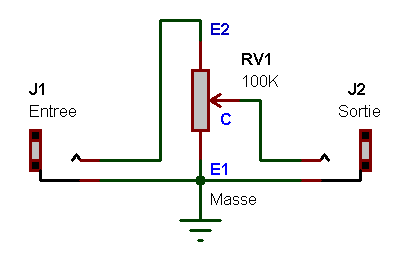 A double potentiometer directly soldered on the jack rca cable. Remember that the best solutions are the simpler. Volume and power buttons are now not needed, a better integration is possible. When charging, play music. Pause it when discharging. IFTT ? I think so ! Only a low level IFTT. 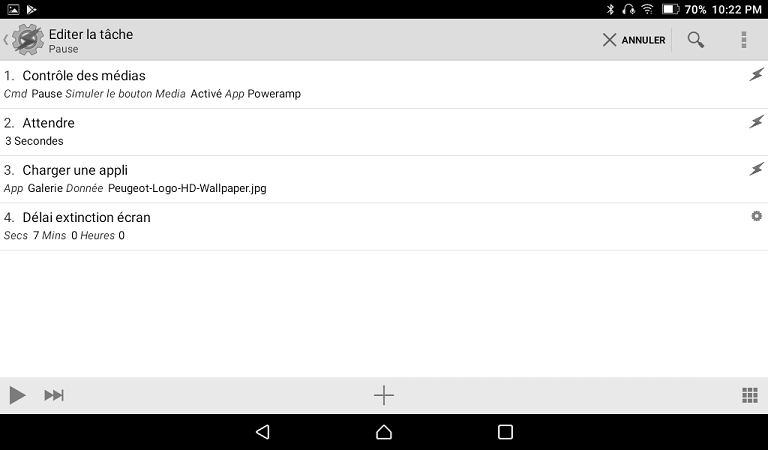 Possible with Tasker. This app is not so easy to use, but so powerful that make possible everything you want. Here is my configuration : wake up, show a picture (Peugeot Logo !) and play music. Google Maps can go offline. Download the map before leaving home (with a wifi connection) is only perfect. Searching interest points, gas stations or everything you want is possible like online version. What is the best audio player ? In the car, the best is the app you can drive with a finger without leaving the road from your eyes. Poweramp is the best I tried. Big buttons and finger gestures are perfect. I tried many hacks or integrations with my phone. The main limitation is : Android kernel allows only headphone, speaker or bluetooth headset for a phone call. Maybe it is not the same stack used for audio players. The unique solution for integration I needed (use a tablet as a bluetooth Gatt device) implies a complete rebuild of Android. 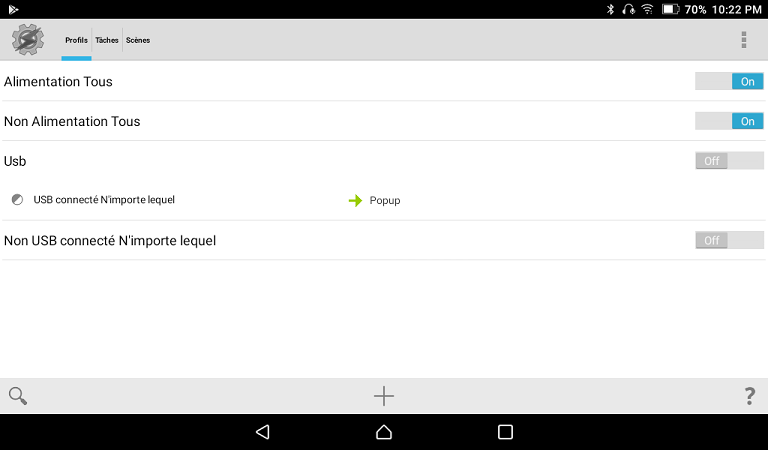 During my searches on Amazon, I found the perfect device : https://www.amazon.fr/gp/product/B00JK0G8KC/ref=oh_aui_detailpage_o01_s00?ie=UTF8&psc=1 For €35 it allows to connect two devices : my android tablet and my smartphone. Audio quality is good, wiring very simple. It took only 10 minutes for integration. In PowerAmp, there is an option for bluetooth ADP devices : play or pause music if the ADP is available or not. This makes Tasker deprecated. So now, I thought that I had the perfect entertainment for my car. I used it for one year, does the job perfectly (GPS and music player). Make it better ? Google offers me this opportunity. 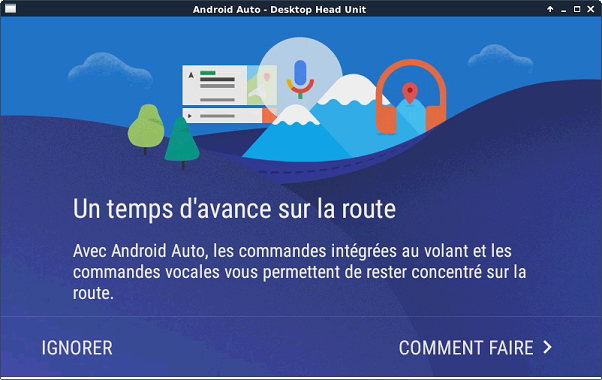 All over the web you can see demos of Android Auto (or Car Play) on headup display on new cars. It seems well designed and so easy to use while integrated software are often painful to use. No one tells us how Android Auto is implemented and integrated. Android auto is just a remote screen. Nothing is generated by the car display. A H264 video stream is generated by the Android App on the smartphone. Tap on screen are events thrown over usb protocol. Look at the source code bellow, it’s explained. Well, retreive a H264 video stream from an USB source is something easy to do. A little piece of software on embedded Linux with hardware decoder is standard since many years. Another solution developed by Google is a standalone mode. Each phone with Android Auto can be a head up display. You just need a handsfree kit for your car. That’s a great idea… Not what I want. To run perfectly it needs an internet connection. Of course, my android smartphone can be a great gateway. Remember that I wanted a smooth solution as it is in modern cars. a headunit software, only given to manufacturers. For now, I do not know how much Google sells this licence. 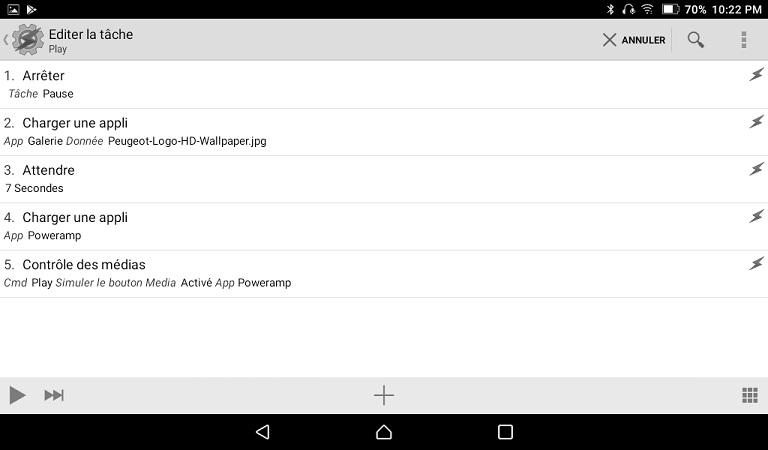 A debugging Tool in the Android SDK. 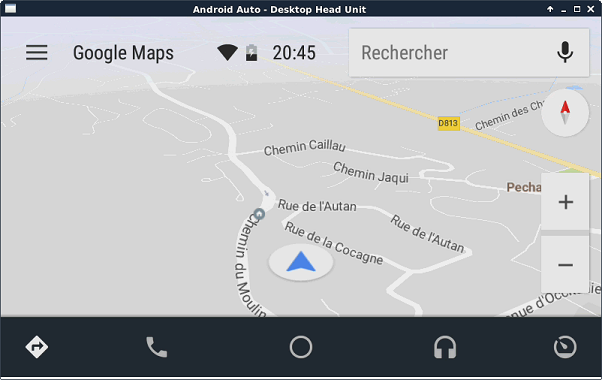 It runs only in debug mode on Android Auto, but it gives a great overview of what is it possible to do with. It fails on Debian because libusb is not well referenced. Now it works, just as the same with the debugging tool. With this software, if you want (or you can…) have a Linux tablet into your car this is perfect. Let see for an Android version. If you are upset with your original casset reader : build the APK. Most of tablets does not have a dedicated port for charge. Several years ago, a USB port could only deliver 500mA which was insufficient for a such device. Now it’s the same for smartphones ! 1. Standard downstream port (SDP) This is the same port defined by the USB 2.0 spec and is the typical form found in desktop and laptop computers. The maximum load current is 2.5mA when suspended, 100mA when connected and not suspended, and 500mA (max) when configured for that current. A device can recognize a SDP with hardware by detecting that the USB data lines, D+ and D-, are separately grounded through 15kΩ, but it still needs to enumerate to be USB compliant. In USB 2.0, it is not strictly legal to draw power without enumerating, although much of present-day hardware does just that, and in violation of the spec. 2. Charging downstream port (CDP) BC1.1 defines this new, higher current USB port for PCs, laptops, and other hardware. Now the CDP can supply up to 1.5A, which is a departure from USB 2.0 because this current can be supplied before enumeration. A device plugged into a CDP can recognize it as such by means of a hardware handshake implemented by manipulating and monitoring the D+ and D- lines. (See USB Battery Charging Specification, section 3.2.3.) The hardware test takes place before turning the data lines over to the USB transceiver, thus allowing a CDP to be detected (and charging to begin) before enumeration. 3. Dedicated charging port (DCP) BC1.1 describes power sources like wall warts and auto adapters that do not enumerate so that charging can occur with no digital communication at all. DCPs can supply up to 1.5A and are identified by a short between D+ to D-. 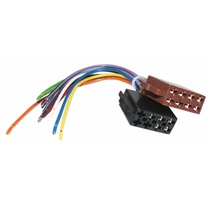 This allows the creation of DCP "wall warts" that feature a USB mini or micro receptacle instead of a permanently attached wire with a barrel or customized connector. Such adapters allow any USB cable (with the correct plugs) to be used for charging. That explains why there is no charge port on tablets. USB has enough power. 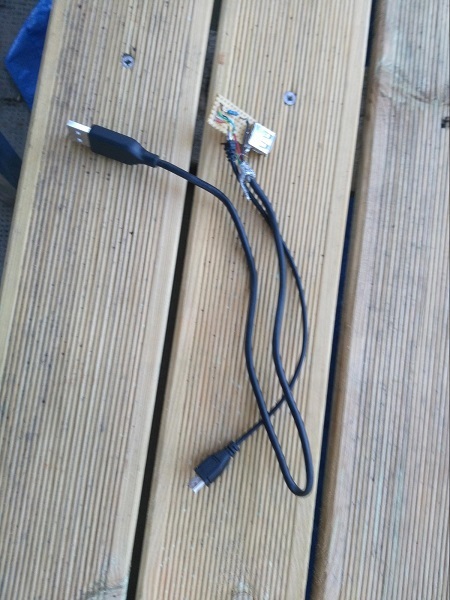 But this is a terrible evolution for my wiring : I need a USB OTG (On The Go) adapter. This adapter is very simple, but it does not work with my phone plugged to the tablet. The USB port can not deliver enough power to charge the phone. First try, use a powered USB Hub. Now it’s ok, phone is charging. 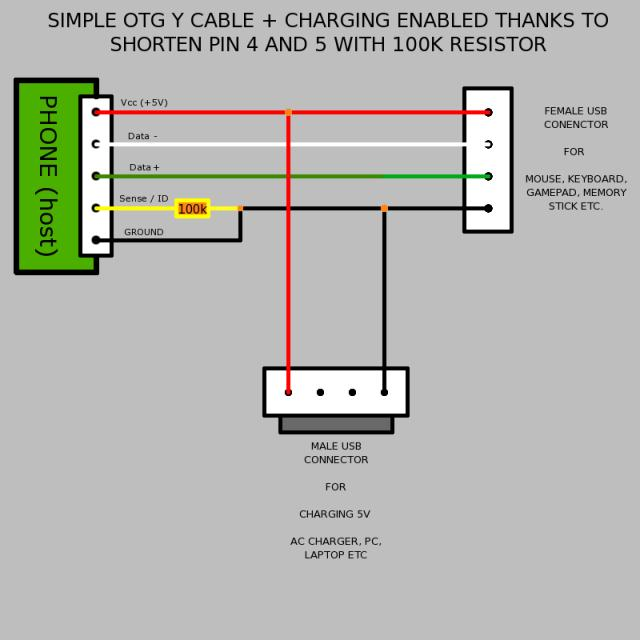 Is it possible to charge a tablet while using the USB port as OTG ? Maybe yes it’s possible with a 100k resistor. Pair both devices (phone and tablet) to your ADP device, plug the phone with a USB cable and voilà !